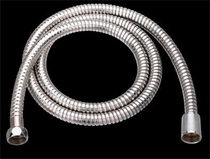 Surface mounted and completely pre-plumbed, easily retrofit your existing Exposed Shower Set without a remodel. Wall Mounted Shower Faucet connects to water supply at your current showerhead location and uses existing hot/cold shower valve. 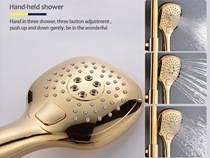 Shower Set with rain showerhead; with rub-clean soft tips to easily clear mineral buildup for long lasting performance. Oubao Faucet researches and development design combines with contemporary market trends to create, each faucet has the feelings of concise, fluent, high-tech touch, every design shows originality. The one-piece molding and streamlined appearance design of Shower Faucet Sets is for contemporary simple and stylish kitchen enjoyment. Accessories are complete and easy to install. OUBAO faucets use atate-of-the-art technology to deliverexceptional quality finishes.The physical vapour deposition (PVD) process ensures that the surface compsition is three-times harderalso ten times more scratch resistant. 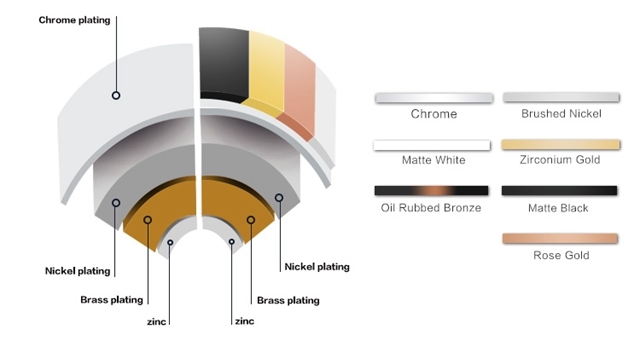 Available colors: Brush Nickel, Matte Black/White, PVD Black, PVD Brush Nickel, Antique Brass, Zirconium Gold, Titanium Gold, Rose Gold, Oil Rubbed Bronze, Brush Gold. Support OEM/ODM services, orders for more than 30 sets can laser your logo freely. Standard package: EPE foam+color box is available. Packing can be customized according to customer's requirement. 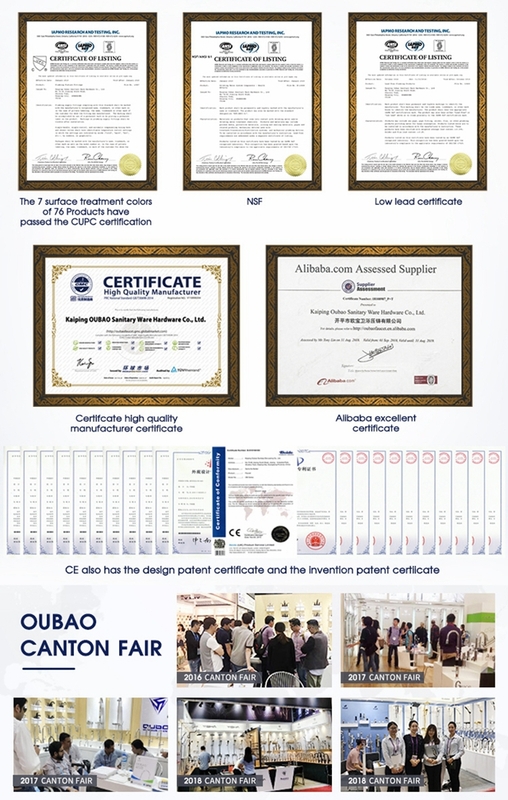 OUBAO has a R&D team with more than 10 years of experience, and has been dedicated to research and development of low-lead and non-toxic Shower Faucet with healthy water. We use high quality materials and high standard configuration, combining innovative thinking and design concepts of contemporary trends, as well as technology and innovative production mode, to make your faucet adapt to your bathroom from the senses to the use. Artistic design makes your shower room experience full of fun, and practical and simple use products make your complicated cleaning work more convenient. 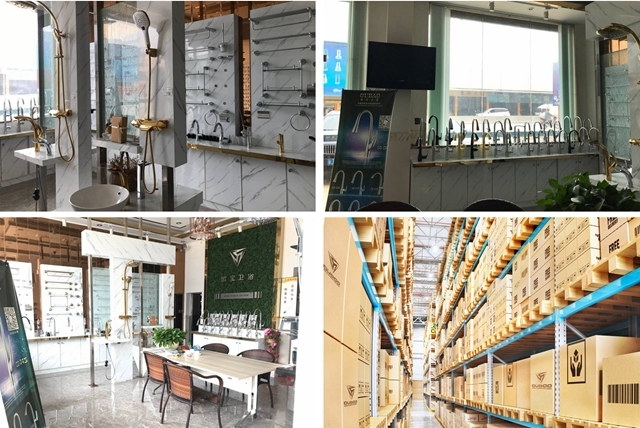 KAIPING OUBAO SANITARY WARE HARDWARE CO.,LTD is a professional manufacturing factory which committed to developing , producing and selling high quality faucet and ancillary products such as Kitchen Faucet and Bathroom Faucet ,and Bathroom Accessories , Shower System with precision core technology. As a top grade ODM / OEM manufacturing supplier, we always devote our services to provide specialized, healthy kitchens and bath products solution in order to promote the development of Chinese sanitary products, create an "innovative" and "precision" new age. Do you really think you chose a high quality faucet? 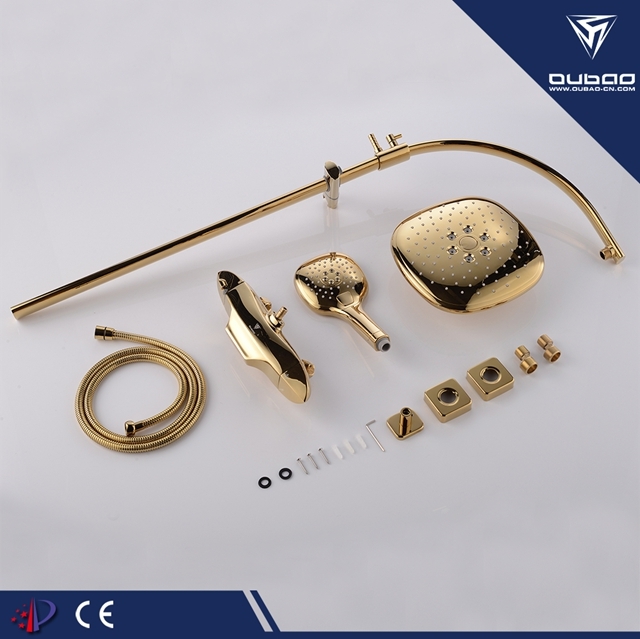 A good faucet must be lead-free, and the material of oubao faucets` waterway are must be lead-free brass which pass International test standards. 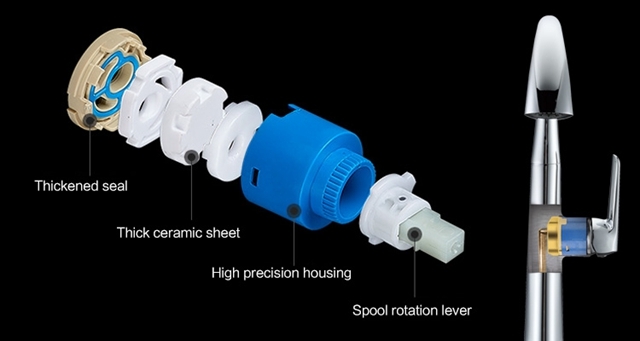 Ceramic valve core has high hardness and wear resistance, can be switched 500,000 times, and is durable. OUBAO have casting equipment, machining center, automatic precision polishing, grinder and automatic assembly line, first-rate full set laboratory and checkout equipment. 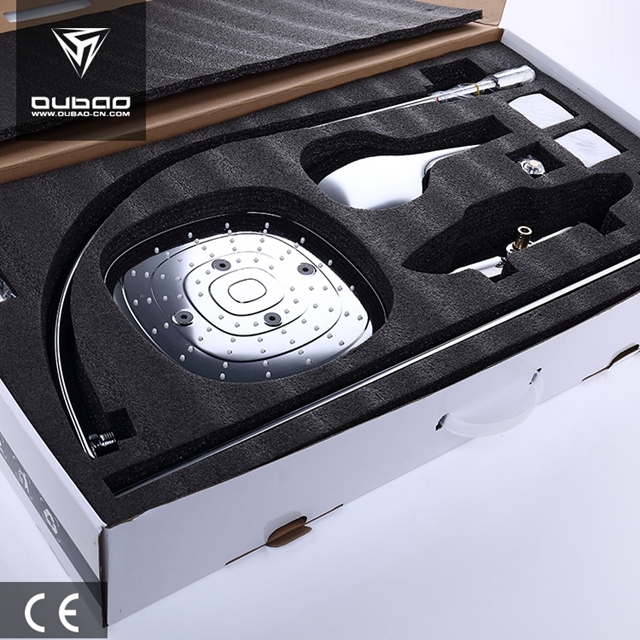 With the ability of technology research & development and advanced hardware platform.OUBAO make sure every process is excellent from material control ,designing and developing the mould,casting ,producing ,polishing and Plating. Looking for ideal Surface Mounted Shower Faucet Manufacturer & supplier ? We have a wide selection at great prices to help you get creative. 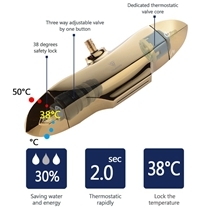 All the Thermostatic Faucet Shower are quality guaranteed. 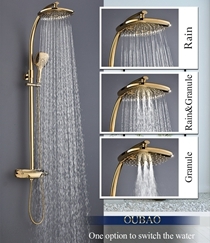 We are China Origin Factory of Shower Faucet Set Bathroom. If you have any question, please feel free to contact us.